ABS smooths easy. Easy to get acetone in a container with your print, heat it up if you don't want to wait very long, and you're done. 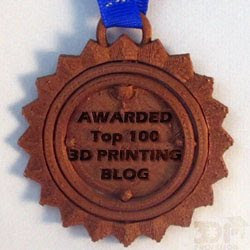 But I discovered PLA is not so easy to smooth, and there's a lot of conflicting information online. I heard someone say MEK and MEK substitute works just like acetone on PLA. I couldn't find MEK substitute anywhere around, but I found MEK at the paint store. I was only able to find it because I don't live in California. Apparently the stuff is carcinogenic. So you'd better bet I Walter White-ed myself up before opening up the gallon of cancer I had bought. Unfortunately the MEK does nothing. Or rather it does nothing for the smoothness of the print. But it does bleach the color out of it. Weird. Then I attempted a few other products people had suggested. Jumping to the end. In the picture above the front set is untreated. Left back is MEK. Left middle is a non-acetone nail polish remover which also bleached the color, left a strange residue, and didn't smooth it much. (I discovered it needs to be a nailpolish remover with ethyl acetate and this stuff wasn't.) And on the right is something called Tetrahydrofuran (THF). I had heard a lot of good things about Tetrahydrofuran, but it was hard to get ahold of and kind of expensive for the size of the bottle (compared to acetone). And of course I have to mention the stuff is flammable and should be used in a well ventilated place because if I don't I'm going to be attacked by the commentators who think I'm taking shots of the stuff for the flavor. Be careful with any solvent. THF is really no more dangerous or irritating than aceton, though. With that out of the way I was also told that because THF is so strong a little bit is all you need, so I put a little bit in the pot, put the prints in, added heat and... nothing. No discoloring, but no smoothing either. Then I tried hand polishing a print with the THF and it worked. It took a lot more THF than I expected to do it, and I'm not hand polishing every set of Wood Wars 3D that I produce. I need a better solution, but I may be close. I'm going to try to find an ethyl acetate somewhere, and maybe other organic solvents if I can find them. I read somewhere the chloroform would work, and I'm desperate enough that I might try it if I can find it.